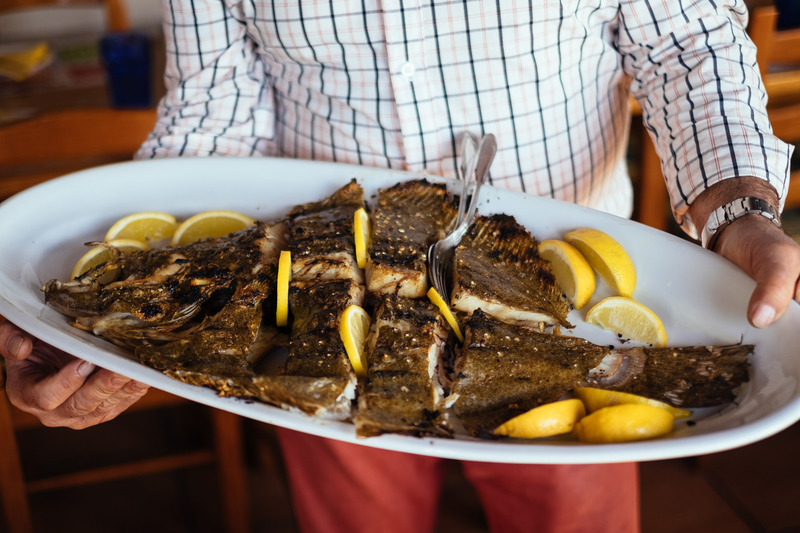 Back in January my friend Nelson invited me and other bloggers and photographers to a fish-themed gastronomic trip to Alentejo. 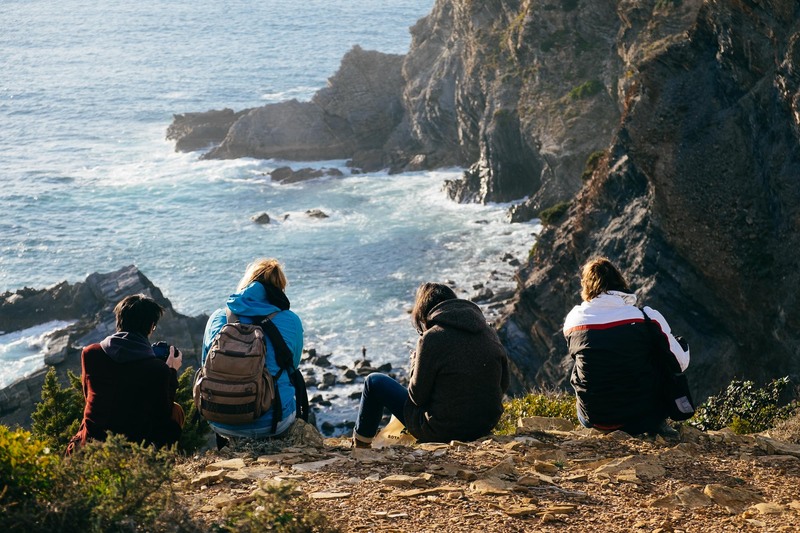 The trip was part of a campaign by APTECE, an association whose mission is to promote Portuguese cuisine internationally. 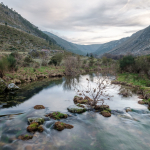 I worked with both Nelson and APTECE in the past (we did a book about Portuguese gastronomy in 2014) and because Alentejo is gorgeous and fish-based dishes are among my favourite foods, I really had no valid reason to say no. 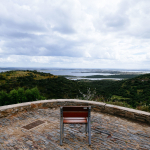 I’ve taken various roadtrips in he Alentejo but mostly in the interior and I was excited about discovering more of the territory (particularly the coastal region) and its fish-based cuisine. 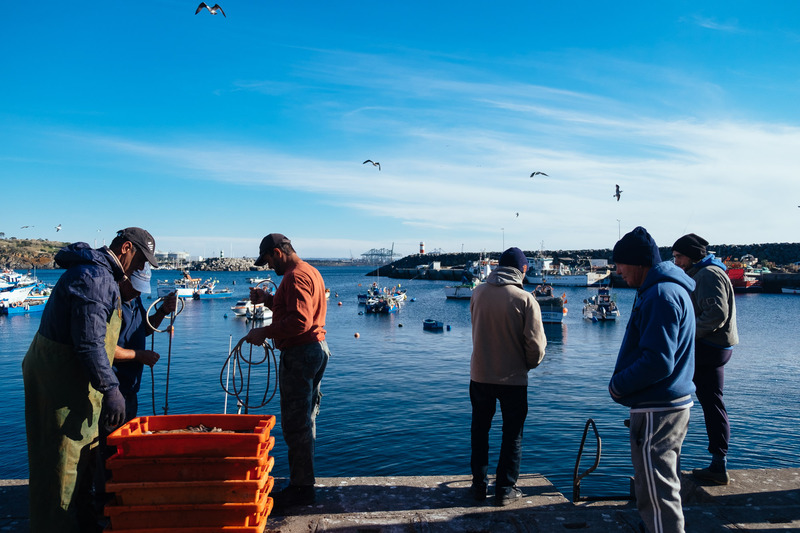 Is Portuguese fish the best in the world? 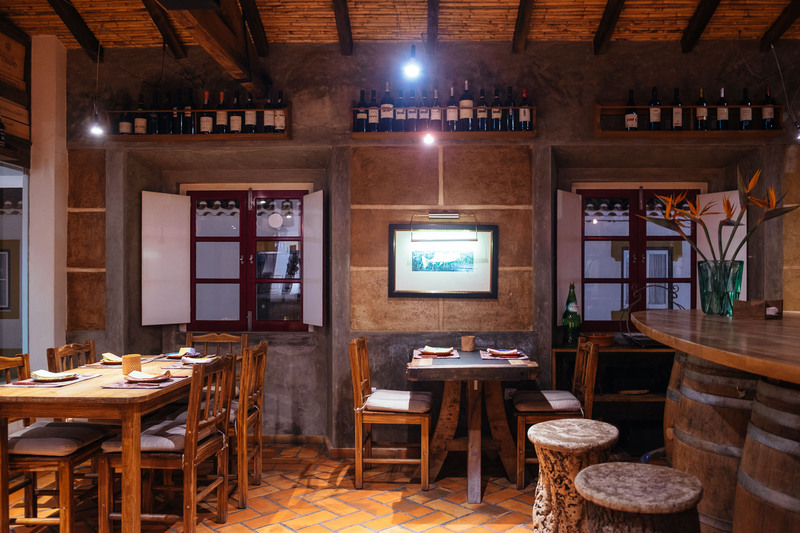 Portuguese food is gaining increasing popularity internationally and fish is a big part of Portuguese cuisine. 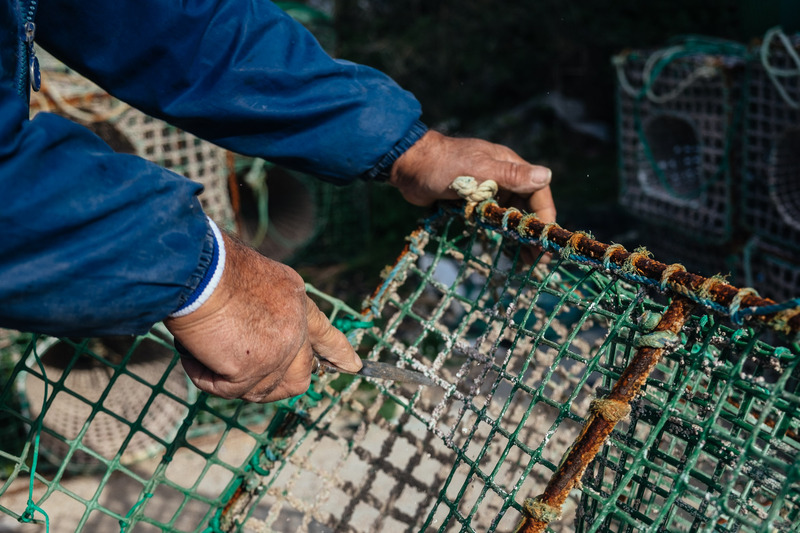 I’m not just talking about the omnipresent Bacalhau which, as many know, Portuguese people can cook in an amazing variety of ways, but also of the fish that comes from Portuguese waters in the Northeastern Atlantic Ocean. 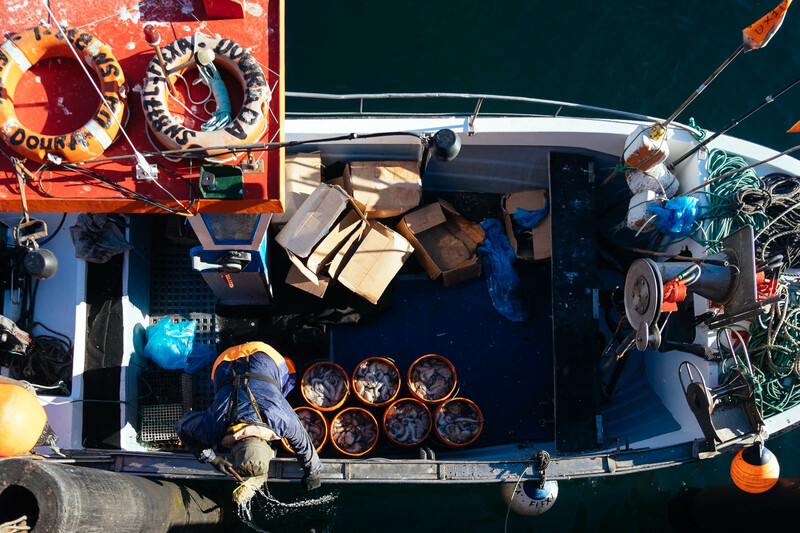 Portuguese fish is renowned and appreciated for its quality and is exported all around the world. 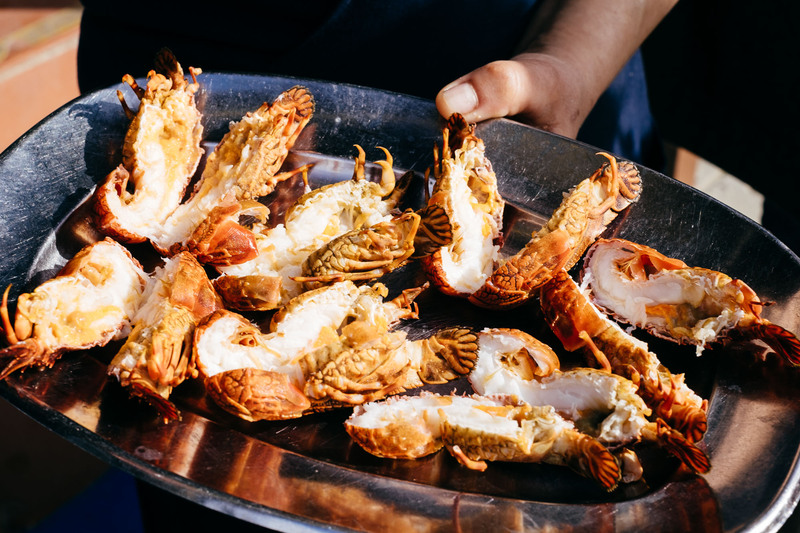 US born multi Michelin-starred chef Thomas Keller, among other international chefs, is said to use mostly Portuguese fish for his dishes. 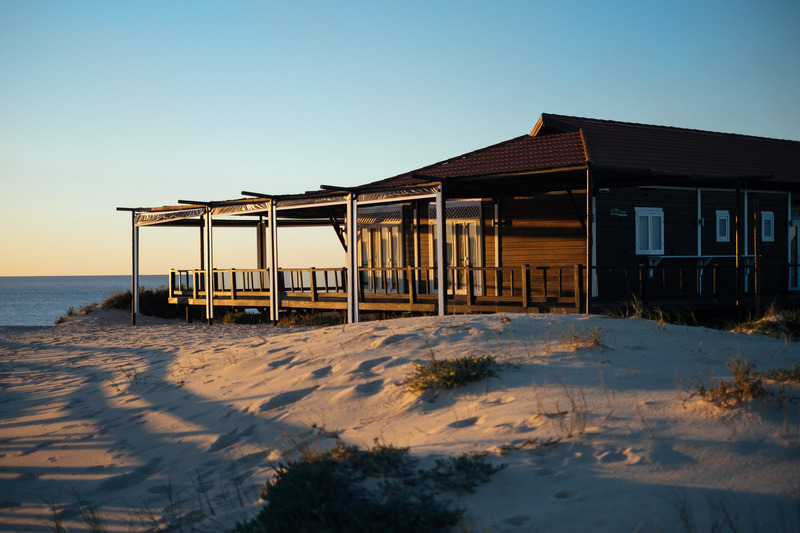 Alentejo is considered the gastronomic soul of Portugal and Alentejan cuisine has a very distinctive set of flavours and concepts. Coriander, for instance is widely used on both meat and fish recipes, acting as a sort of signature. Another component often found in Alentejan recipes is bread. It goes into soups by default (definitely in the dogfish soup), and also into at least two of the most known regional dishes: Açorda, a mush obtained by mixing stale bread with broth and then enriched with other ingredients, most commonly prawns or tomato sauce, and Migas, a dish obtained mixing breadcrumbs with pork meat, garlic, bell pepper paste, and boiling water. 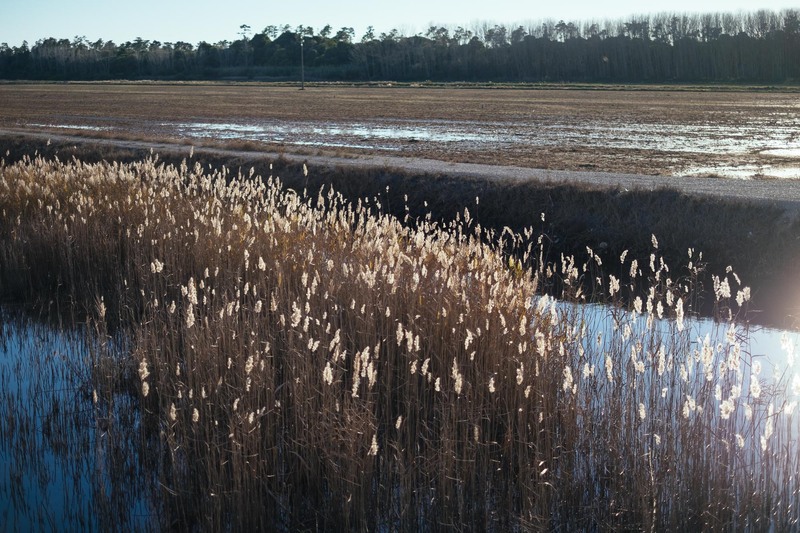 Fish and seafood are widely consumed, especially along the coast. 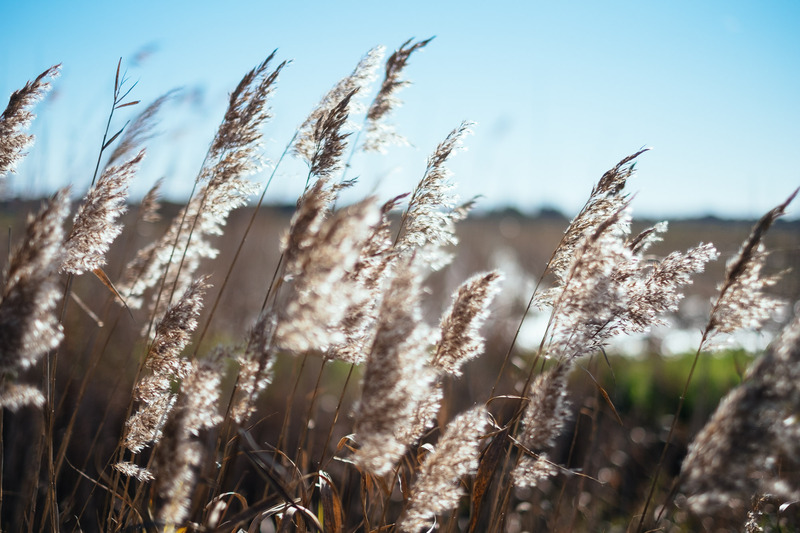 Varieties include turbot, ray, sea bass, sea bream, mackerel, octopus, prawns, goose barnacle, and – in the area around Comporta – also eels. We started in the interior, in Evora, but then we moved to the coast for the remaining part of the trip. 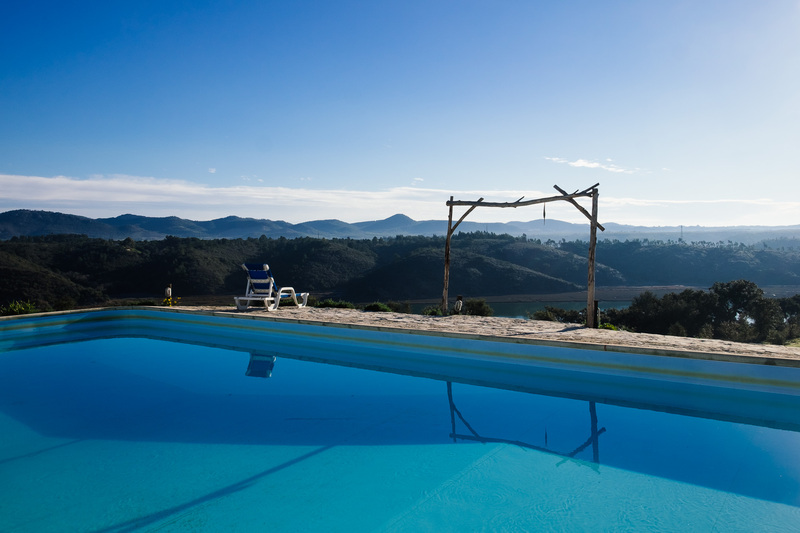 We covered the area around Comporta, Sines and Vila Nova de Milfontes. These areas have also some of the best fish restaurants in the whole region. The thing that I enjoyed more about the food we had is that it always tasted like genuine, hearty home-made food, even when it may have been somehow elaborated. 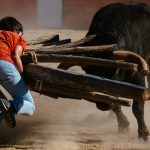 Which to me reflects very much the spirit of the Alentejo as I understand it. Also, I particularly appreciated that in some occasions we were able to follow the fish, quite literally, from the boat to our table. 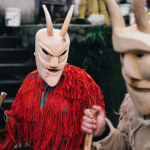 And now, the photo-essay – I hope you enjoy it! 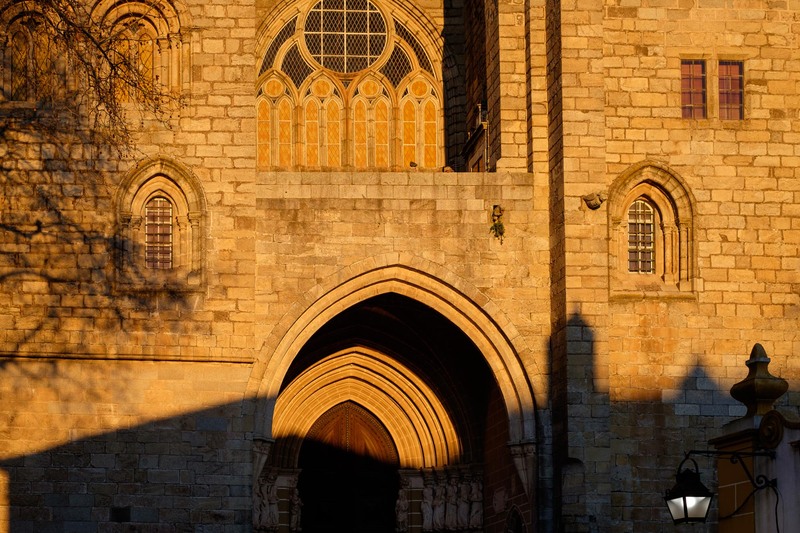 Our trip started in Evora, which is the gateway to and the main culinary hotspot in the region. 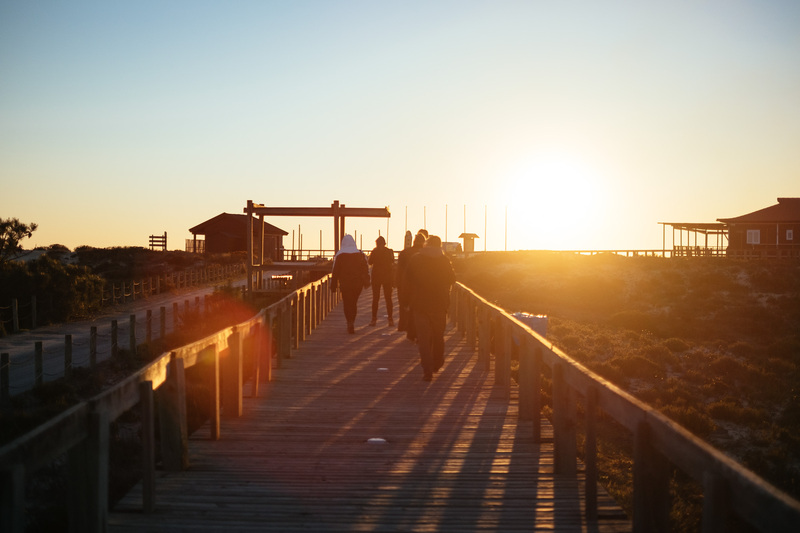 We arrived just in time to enjoy an intense late evening golden light. We didn’t have to wait long before dinner time and after the walk we went to Café Alentejo for the first foodie treat of the trip: Dogfish Soup. 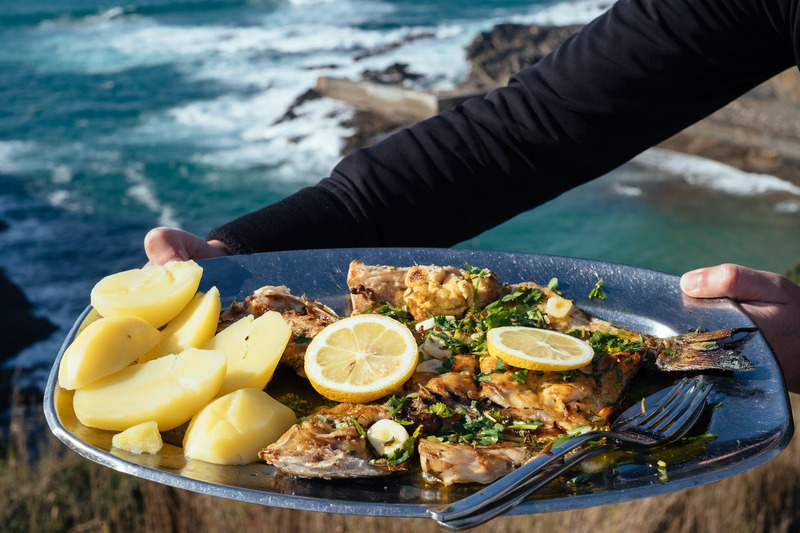 It looks like this recipe originated in the Algarve but became widespread in the interior of Alentejo (today it’s among the region’s signature recipes) due to the large availability and the (relatively cheap) cost of dog fish. The soup is always served with bread in it, which probably testifies its rural origin – it also comes with coriander (not unexpectedly 🙂 ). In the Portuguese culinary culture soups are generally served before the main course. Dogfish soup is an exception and it’s mostly served as a main course in its own right. 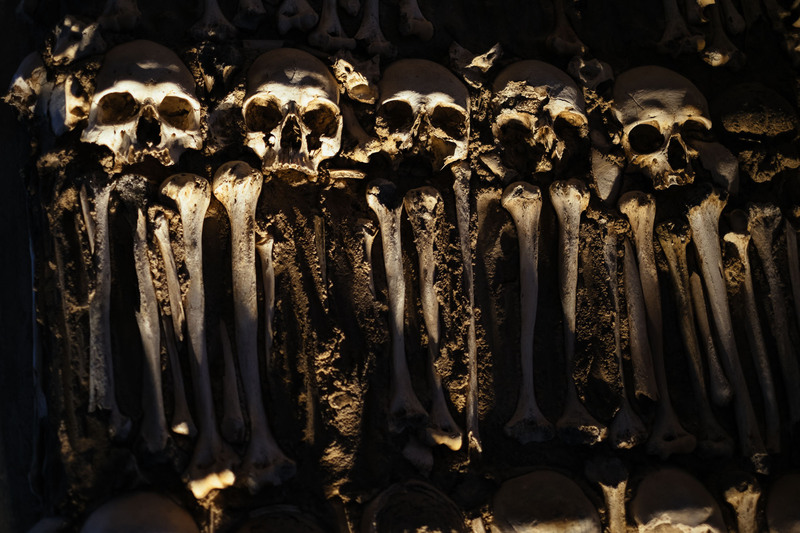 We couldn’t leave Evora without checking in to the chapel of bones and the nearby Church of St. Francis. So we visited them first thing the morning before moving on. 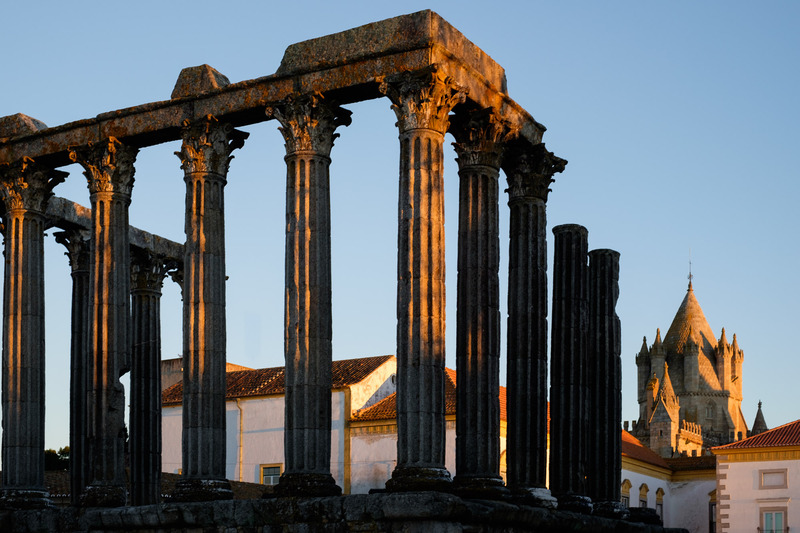 The Chapel of Bones is one of the main attractions in Evora and it was built in the 17th century as an extension of the church. 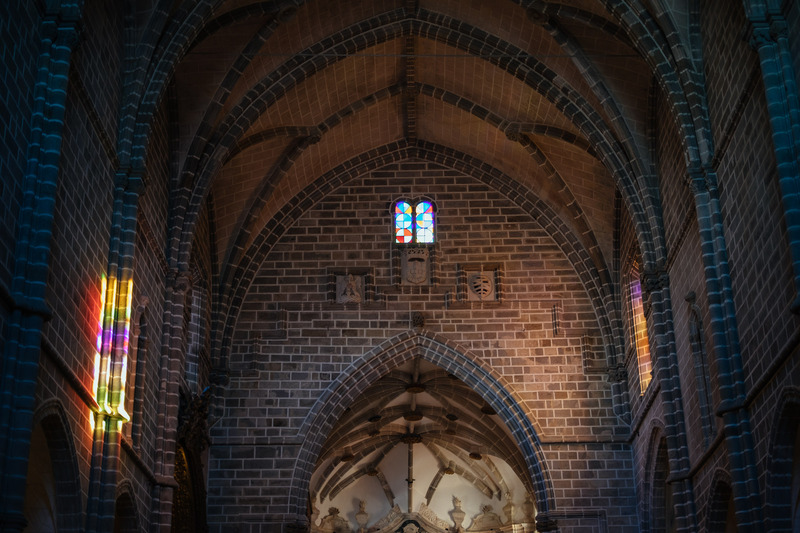 The monks wanted it to be a place to meditate on the transitory nature of the human condition. 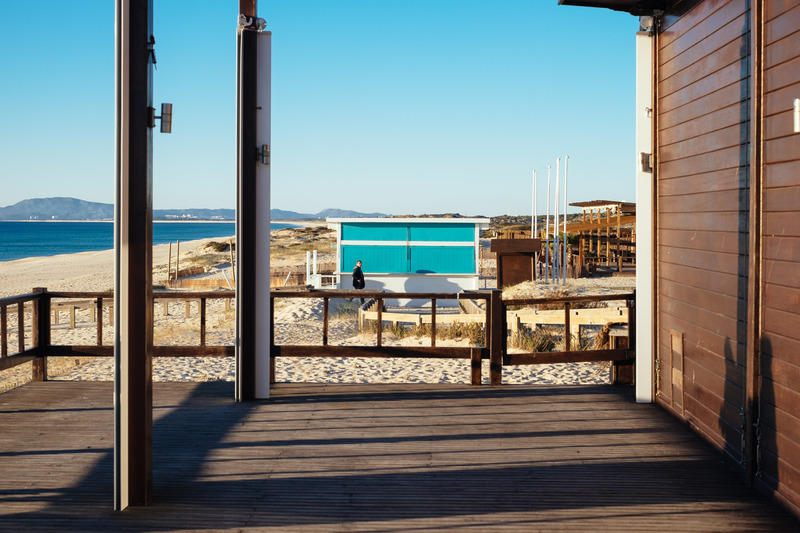 About one hour south of Portugal’s vibrant capital Lisbon, Comporta has in recent years managed to attract an international wealthy, stylish crowd of young entrepreneurs, artists, and the occasional celebrity. When we arrived in Carrasqueira, at the historical fishing harbour built on wooden stakes, the tide was low but the light, although not ideal was pleasant enough to motivate me to take a couple of pictures. 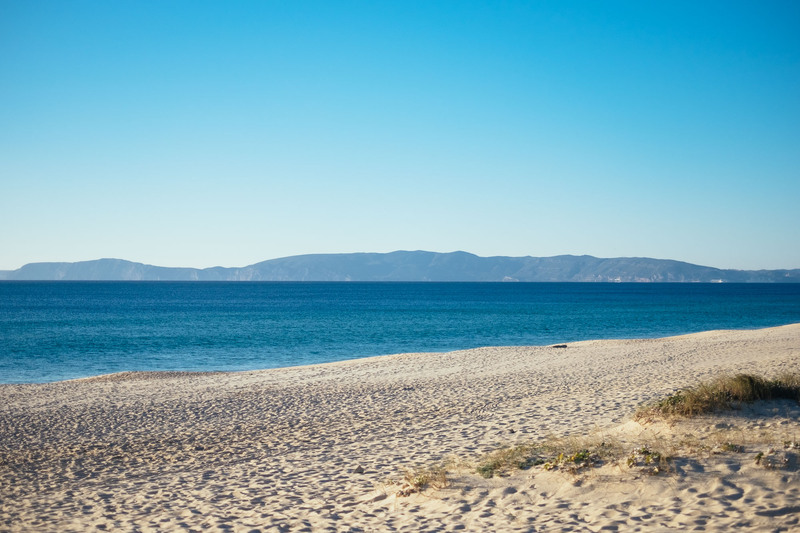 Comporta is also famous for its rice fields and its beautiful beaches (praia da Comporta e praia do Pego). 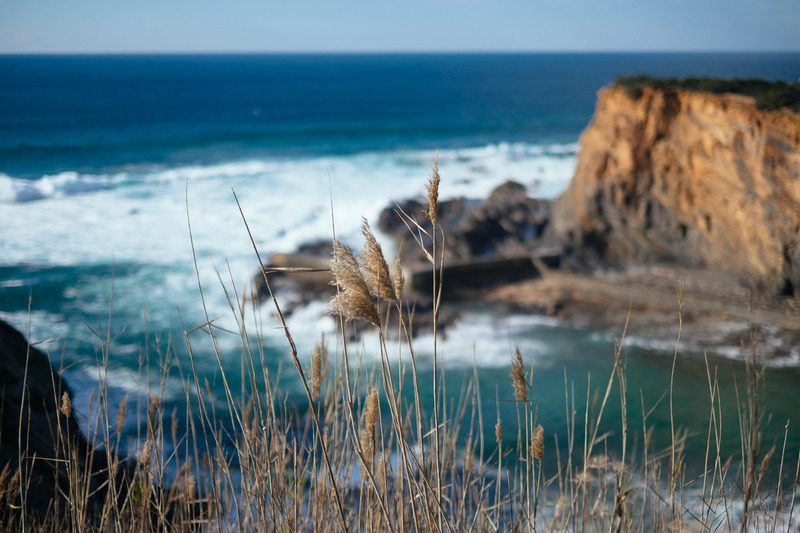 These are obviously best to visit in the spring or summer, but I’ve always loved the sense of space, quiet and solitude that winter seaside landscapes can emanate. So what do you eat in this area? Lots of fresh seafood for sure, but you should definitely try the eels. 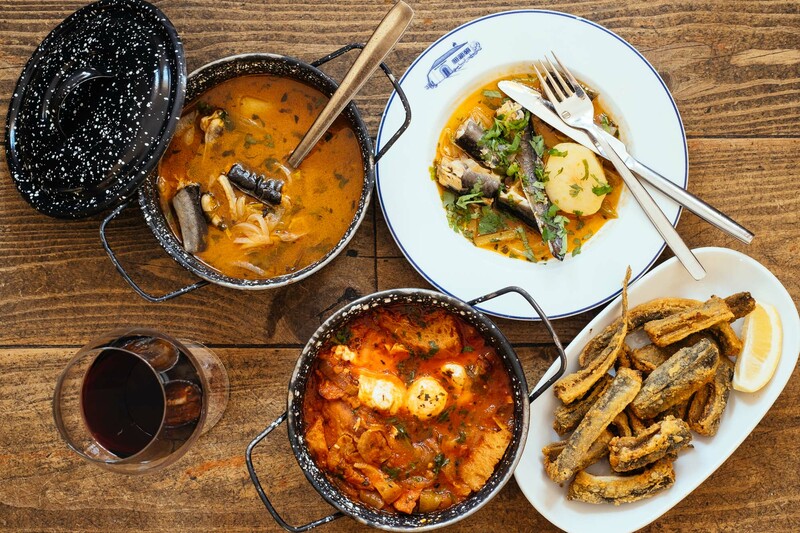 Our culinary highlight of the day were eels stew and fried eels, which we were served along with other Alentejo specialties like Açorda de Tomate. 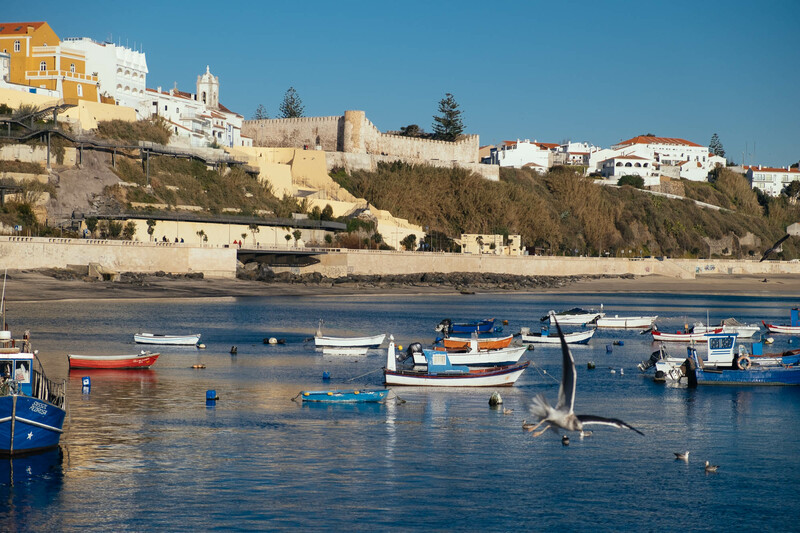 Located on the Ocean in the Setubal district, Sines is an important commercial and fishing port. 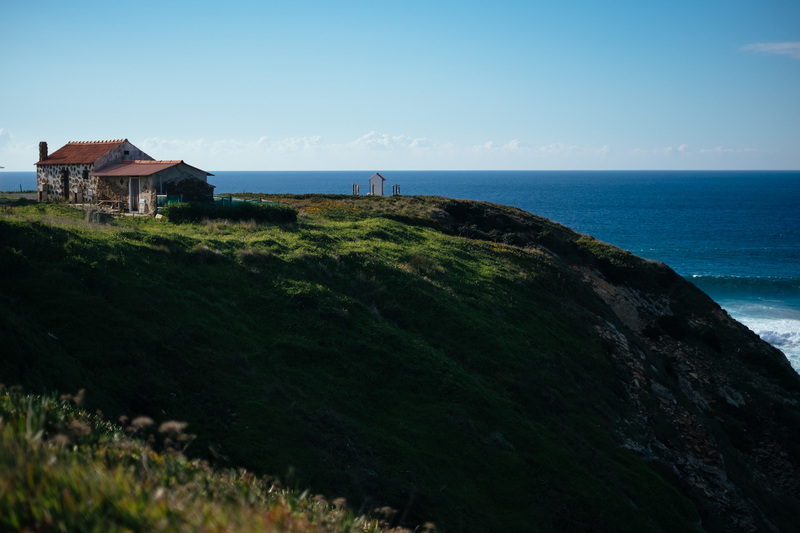 The coastline near Sines is a mix of sandy stretches, secluded coves, rocky beaches and cliffs. On the coastal road just out of town there are two of my favourite restaurants: Trinca Espinhas and Arte e Sal. I already ate at Trinca Espinhas during the work I did for Nelson’s book on Portuguese Gastronomy, and it was a real treat. 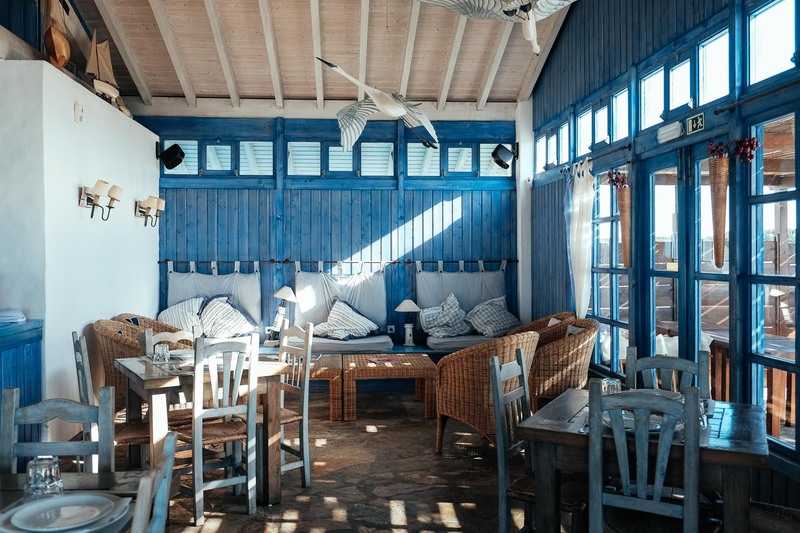 The place is also gorgeous: it’s my idea of how the perfect beach restaurant should look like. This time we couldn’t eat there, but we got to stop by briefly for a cold beer and I took the opportunity to snap a picture of its interiors. When we arrived at Arte e Sal, Carlos Barros, owner and soul of the restaurant, was waiting for us, eager to show us the food his team was preparing for our lunch. 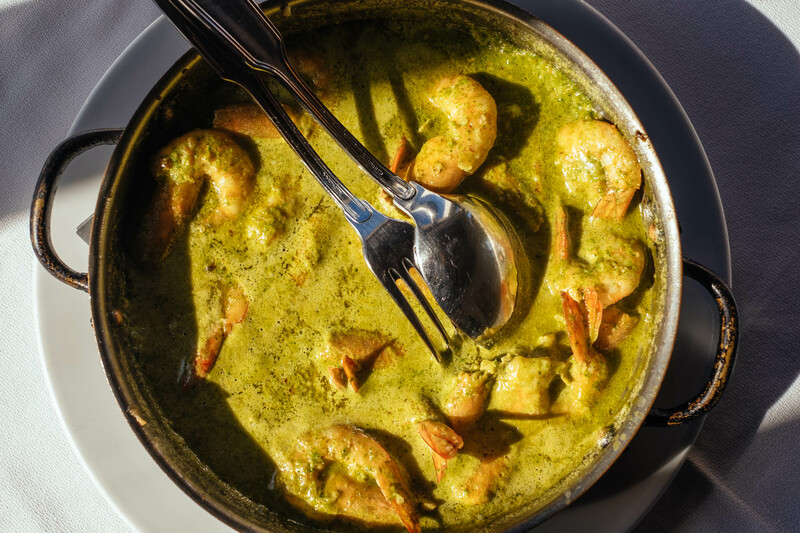 He finally served us a grilled turbot and a special recipe of his creation: prawns in a coconut milk and coriander sauce. Although the turbot was superb, the real star for me was the prawn dish. The coconut milk gave it an exotic touch, but the coriander helped keep it in the Alentejo. Well done Mr. Barros! 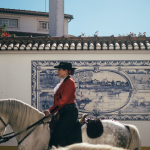 Vila Nova de Milfontes is the quintessential Alentejan town: laid back atmosphere, white houses with coloured stripes, nice people and great food. 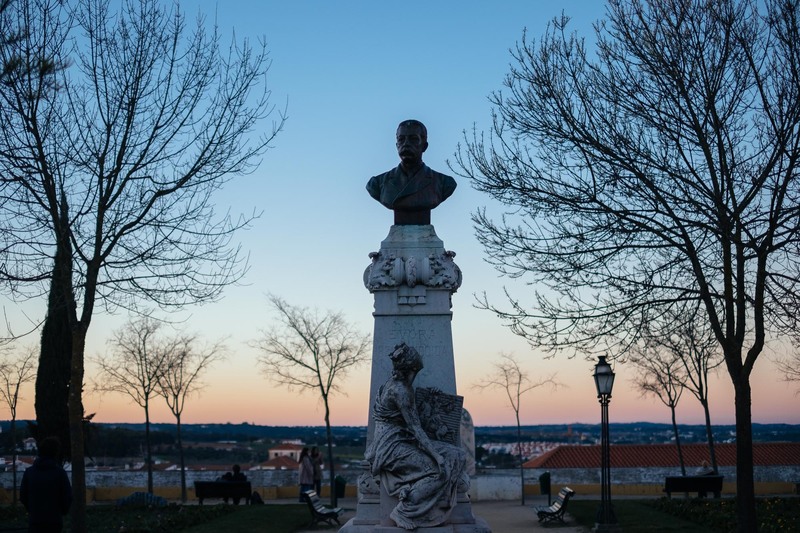 It is located near the estuary of the Mira river, halfway between Lisbon and the Algarve, and although it is a popular summer destination for Portuguese tourists, foreign tourism is not so developed, which is not necessarily a bad thing. After breakfast we took a trip to Cabo Sardao. 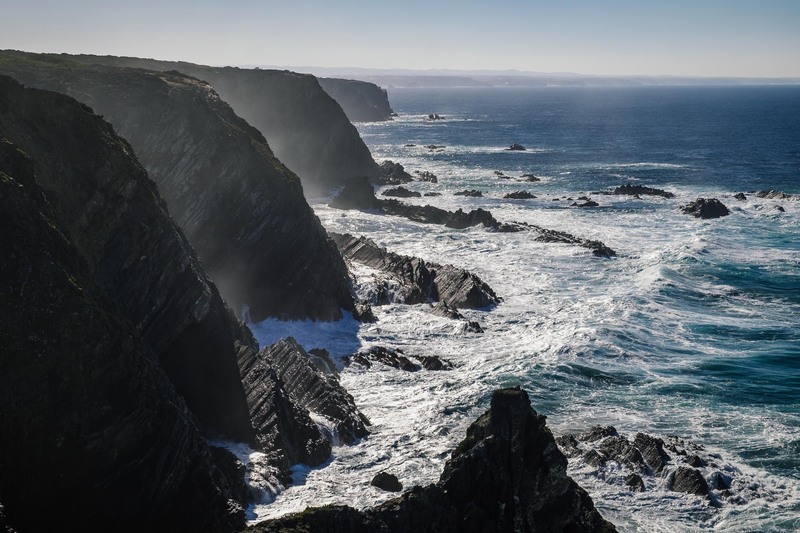 This piece of coast is as primordial and wild as the Atlantic coast of the Algarve, which is the part of the so called Costa Vicentina that I know best, only a 30 minutes drive away. 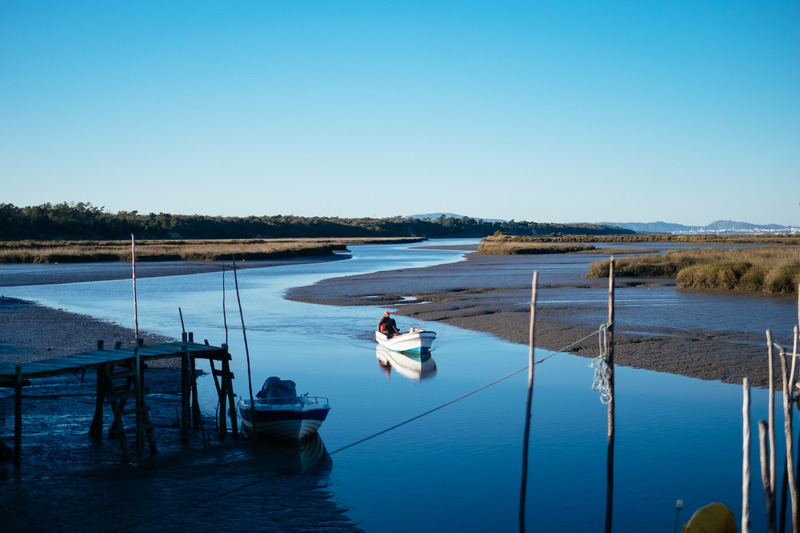 Then we moved to a tiny, gorgeous fishing hamlet called Entrada da Barca. 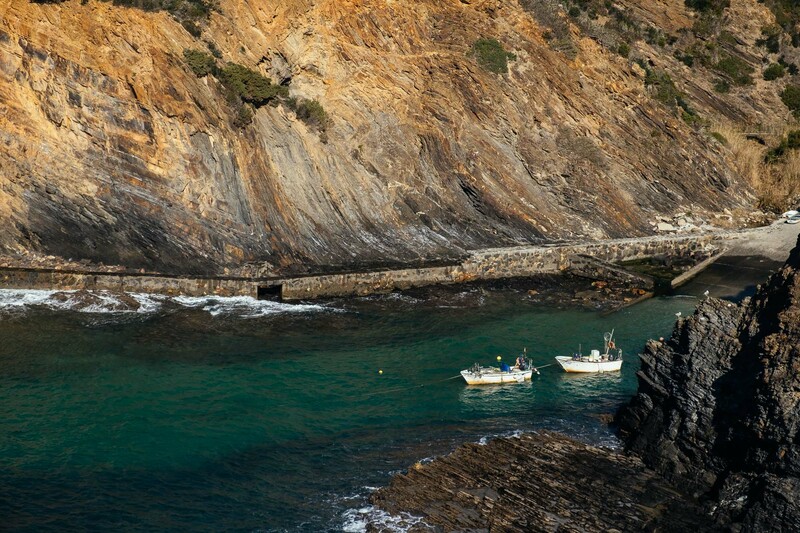 When we walked downhill to the small harbour the local fishermen were going about their daily life. We arrived just in time for the fish auction. 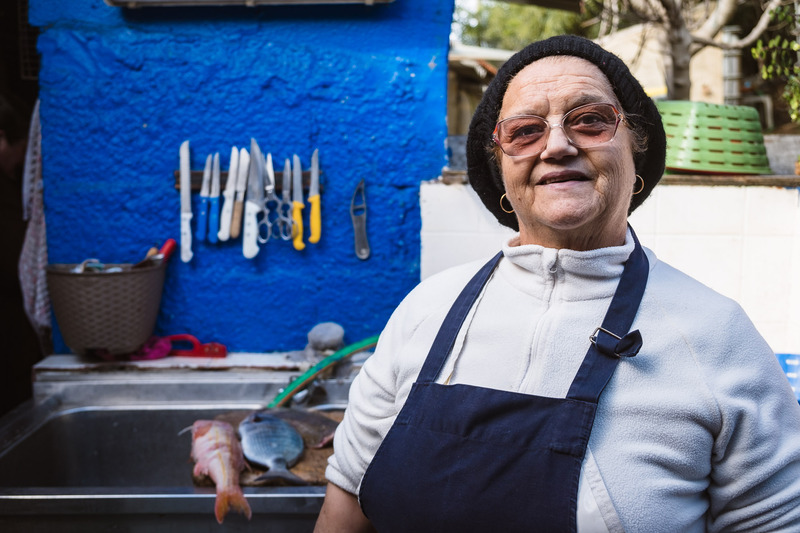 Dona Ana, the owner of Restaurante O Sacas, was already there buying the catch of the day for our lunch. Back at the restaurant Dona Ana started cooking. It was a pleasure to see her work, and her passion for what she does is evident. I was able to interrupt her to take her portrait in the open air kitchen at the back of the restaurant. Although we expected to have just some charcoal grilled fish, we ended up getting also some of the specialities the restaurant is appreciated for locally: octopus with sweet potatoes in tomato sauce, and bean stew with whelks. Which by the way were mind-blowing! …And we couldn’t leave Alentejo without paying a visit to the Tasca do Celso, which we did in the night. 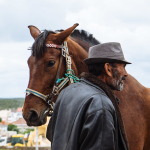 Tasca do Celso is a culinary institution in coastal Alentejo, and its owner, José Ramos Cardoso – his real name is not Celso, as you can see – is a character. It was the last chance we got to eat a good Açorda de camarão. Apart from the Açorda José/Celso also served us some gorgeous mackerel bruschettas, goose barnacles, and other treats, making it a perfect Alentejan dinner send-off.